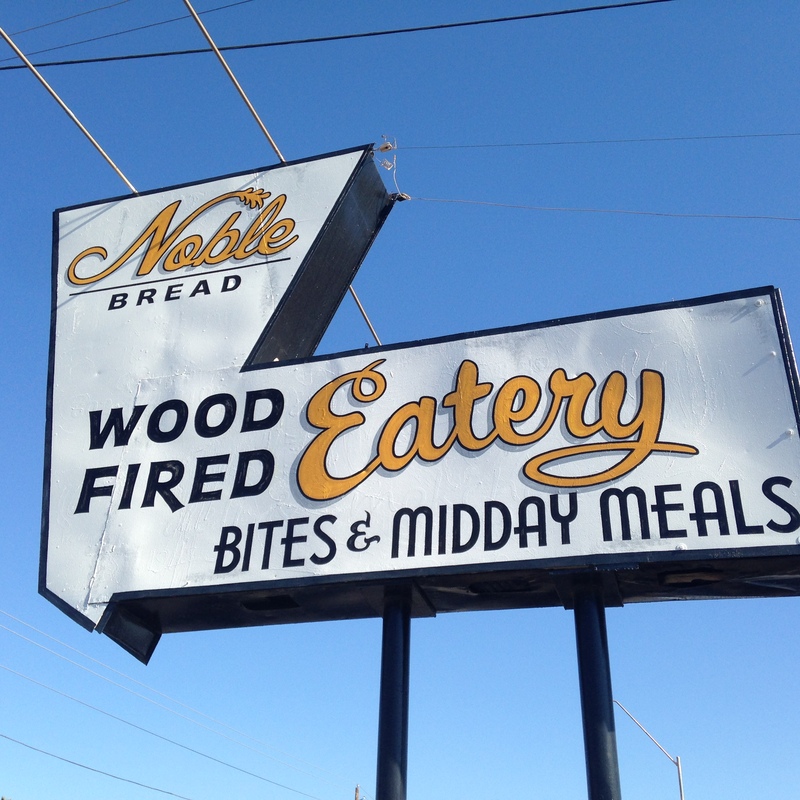 Our friends Jason Raduca and Claudio Urciuoli from Noble Bread recently opened Noble Eatery on McDowell and 22nd Street. It is a wonderful extension to their bakery, bringing the same old world handcrafted care to their menu as they do to with their breads. The Eatery offers a small, ever changing menu of lunch items all carefully tended to by Claudio in their wood-fired oven. Their menu has four categories, bites, grains and legumes, salads and sandwiches with their incredible breads used throughout. Claudio is a magician who can create something amazing with just a few ingredients and his rustic Italian approach to allowing the flavors take center stage. Aidan and I had the chance to get a sneak preview before they opened and had a wonderful meal starting with a charcuterie plate with a wonderfully thick balsamic, a salad fresh from the farm, a warm prosciutto and spinach sandwich and thick slices of their toasted country bread with decadent Italian hazelnut and pistachio spreads that were out of this world. It was an incredible mid-day treat. 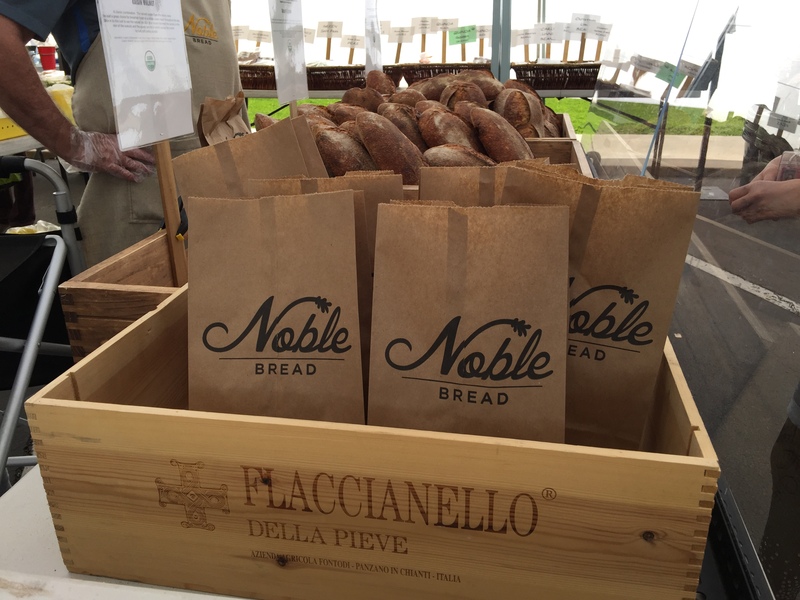 If you want to purchase their breads for your home, you can always find Noble Bread with us at the farmer’s markets. Tomorrow at the Uptown Wednesday market they will have their “Bob’s Bread” – a toasted Spourted Grain and Legume bread that is only baked for our Wednesday market and has been named after Bob, since it has become his favorite. This bread uses organic spring wheat berries, hulled barley, hulled millet, lentil and soy beans and spelt berries. The whole grains and legumes together offer a complete source of protein, that along with the 18 amino acids, minerals, vitamins and fiber, creates a healthy addition to your daily nutrition. We have a loaf on the counter at all times around here. It was part of my dinner last night. Noble is also bringing a Walnut Raisin that is perfect at breakfast time or as a mildly sweet snack throughout the day, using both organic walnuts and raisins. I loved this bread toasted in the mornings with a little of our honey drizzled on top. Each bread from Noble takes 36 hours to make, as they use only organic flours, sea salt, and organic levin starter (a culture of wild yeasts) to allow the breads to slowly rise. Using these old world techniques for creating and a wood-fired oven for baking makes these loaves unlike anything other bread you can buy. Come get a loaf tomorrow and see for yourself. 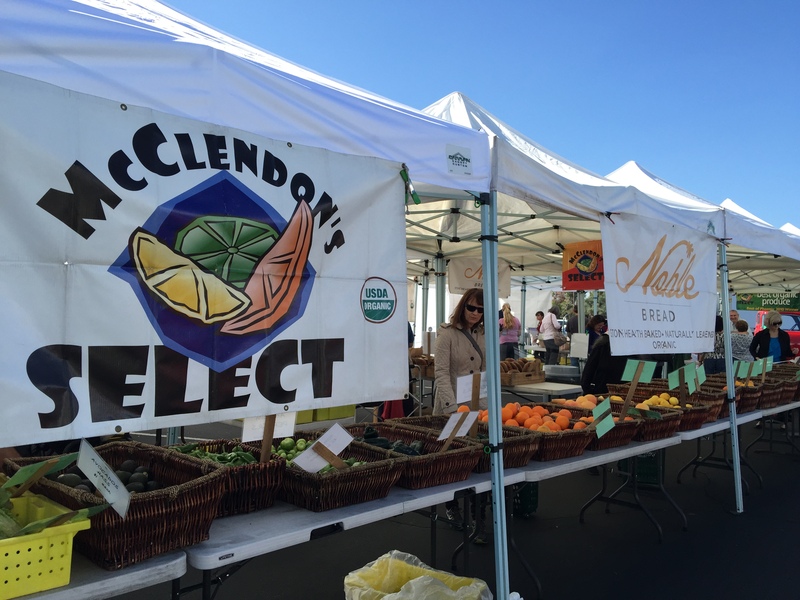 We will also have Chef Jeremy McMillan, the Executive Chef from Bourbon Steak at the Princess Fairmont Hotel in Scottsdale, at the market with us tomorrow. He will be preparing and sampling a multi-grain salad with three colors of quinoa, three kinds of lentils, farro (an ancient grain), and using avocados to make a very special non-dairy creamy green goddess dressing. It sounds wonderful and is also vegan. Chef McMillan will be with us from 9:00am to noon and will have copies of the recipe to share. We look forward to seeing you tomorrow at Uptown!